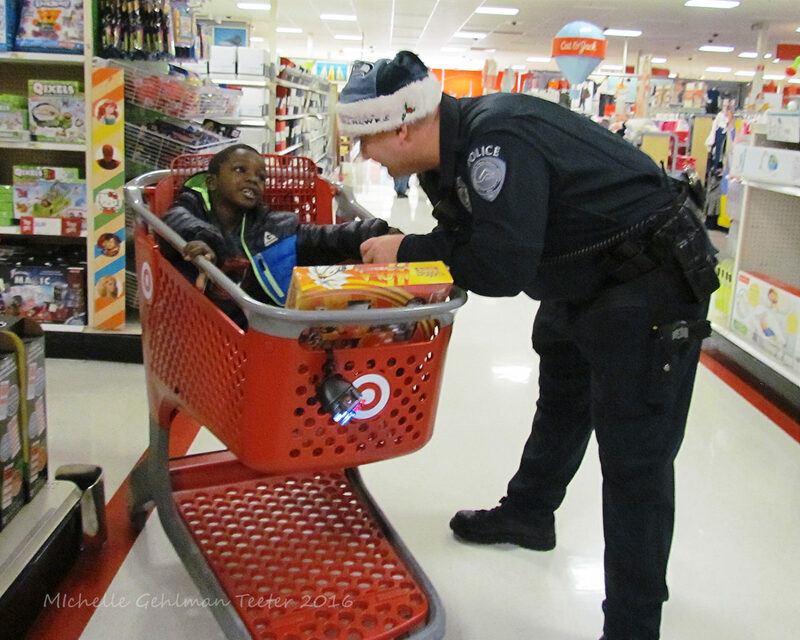 Saturday morning the Kent Police Department, partnering with Target and Kent Youth and Family Services held its third annual Heroes and Helpers Celebration. 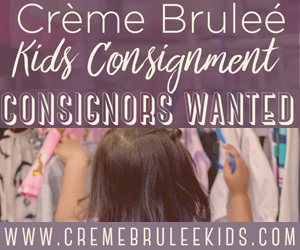 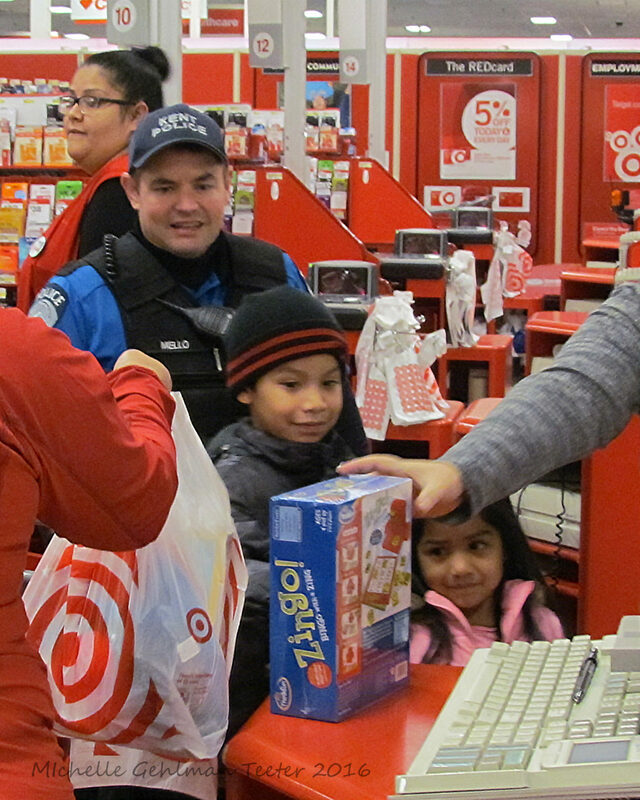 This event helps children from Kent Youth and Family Services purchase holiday gifts for their families. 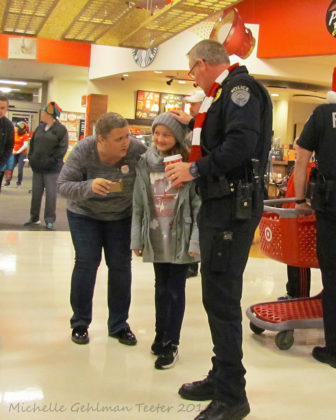 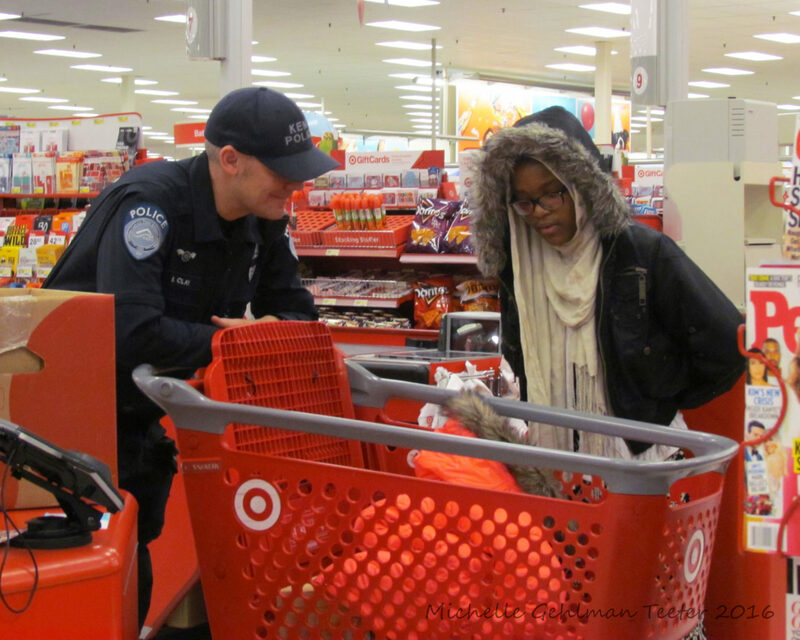 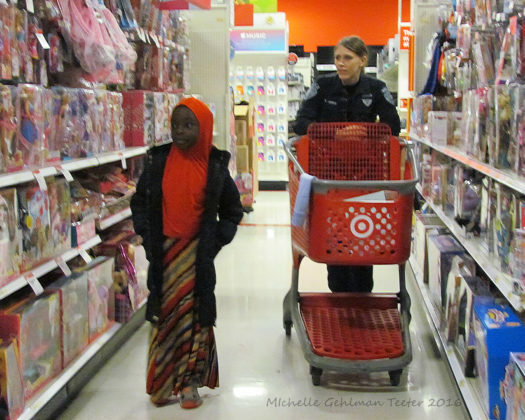 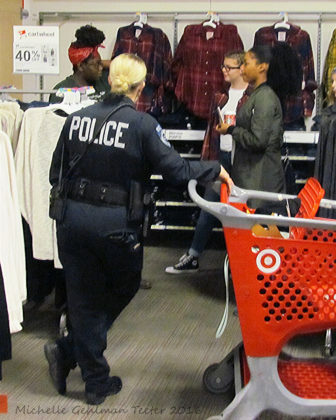 They each were paired with a Kent Police Officer who took them around Target to shop. 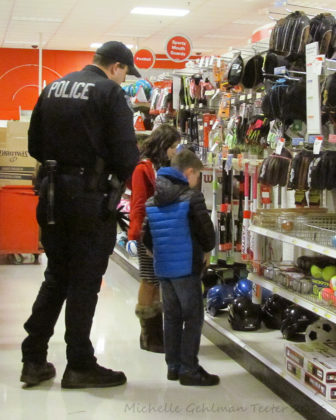 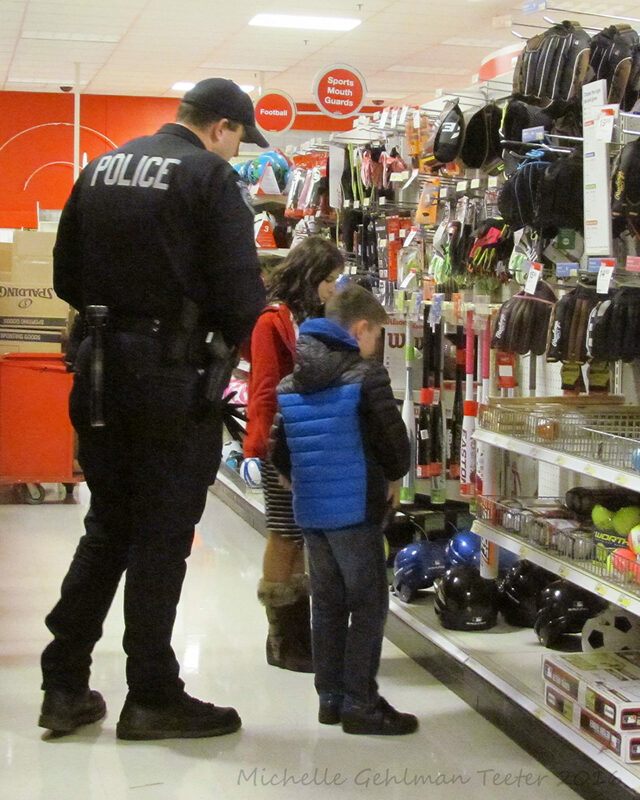 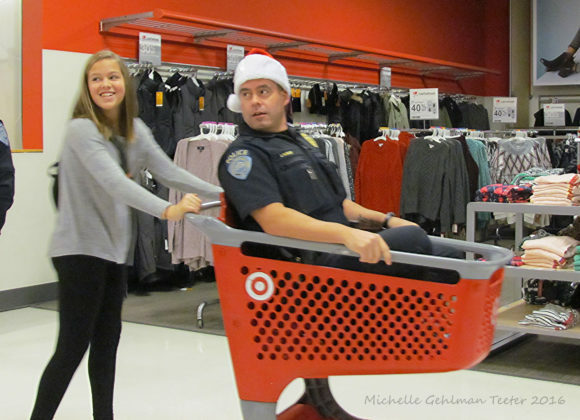 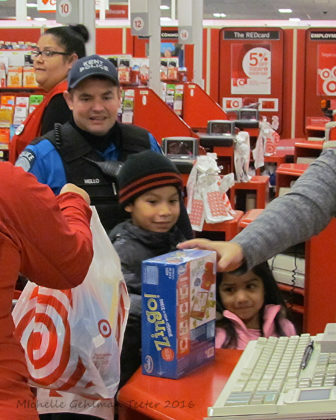 The officers had as much fun as the kids, picking out what Mom, Dad or siblings would love for the holidays. 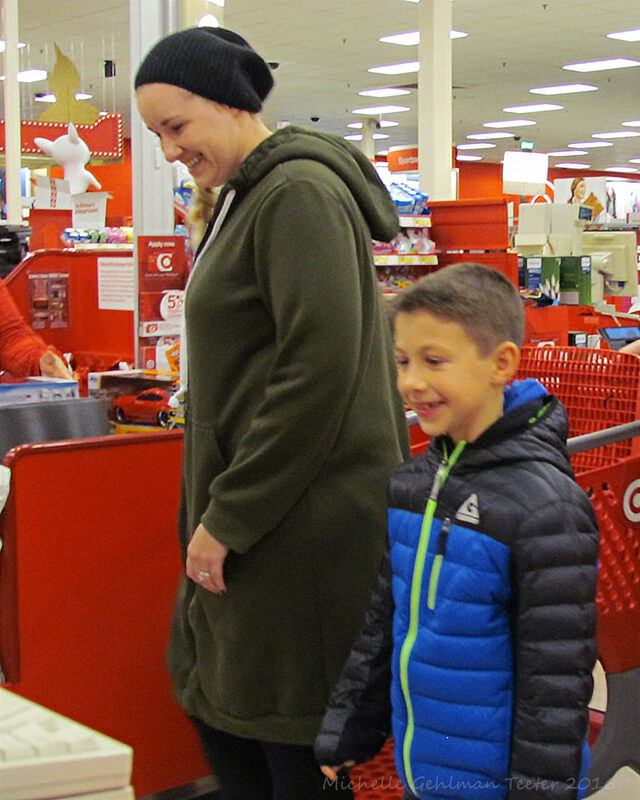 They each had $100 to spend, and you could see the pride and excitement on the children’s faces as they found each perfect gift. The program fosters strong community relationships by pairing in-need youth with public safety officials. 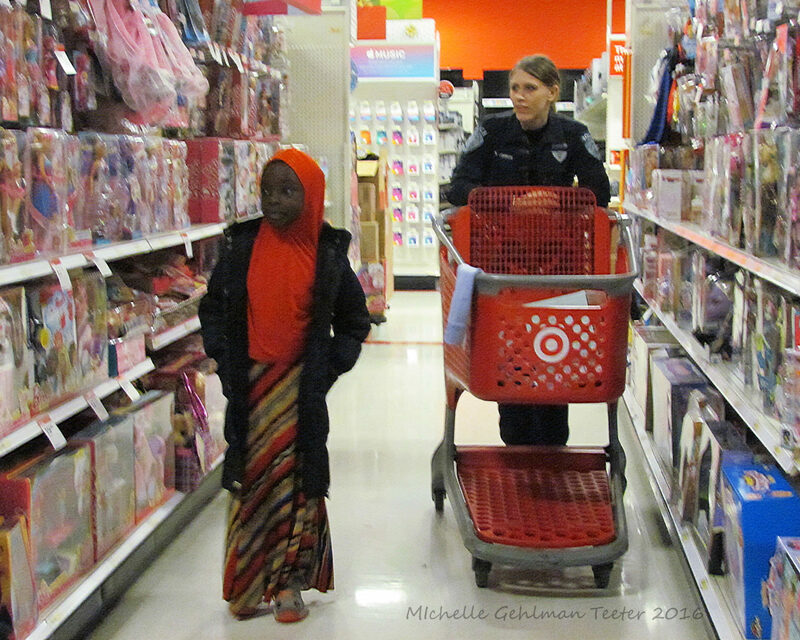 Thirty kids went shopping this year. 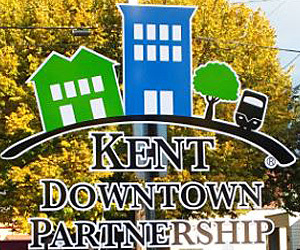 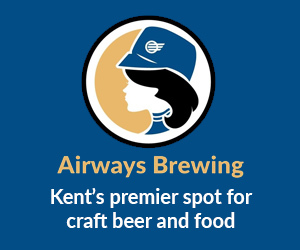 “Participating in this event provides the Kent Police with a great opportunity to share in a wonderful event centered on Kent youth. 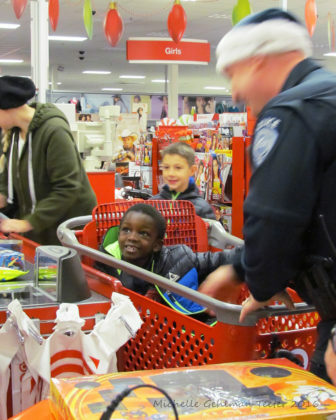 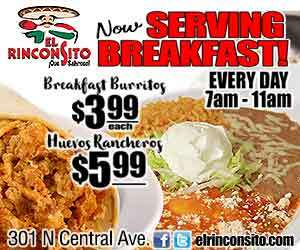 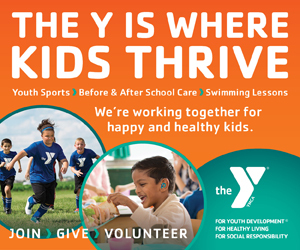 Just seeing the kids smile means the most,” said Kasner.